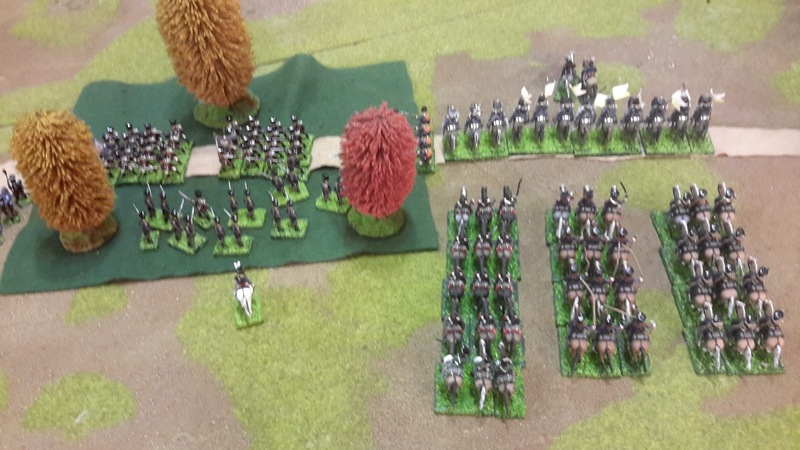 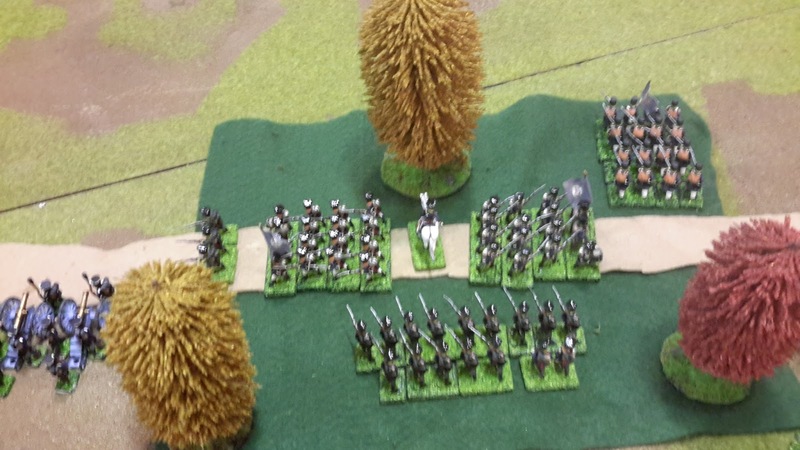 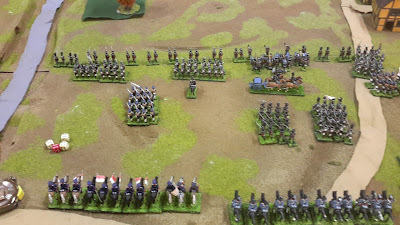 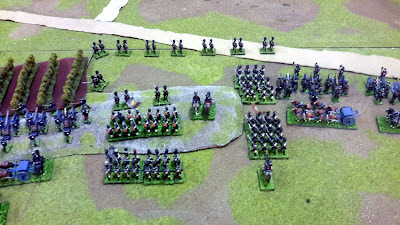 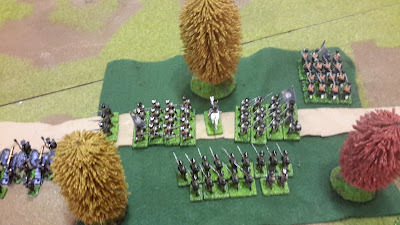 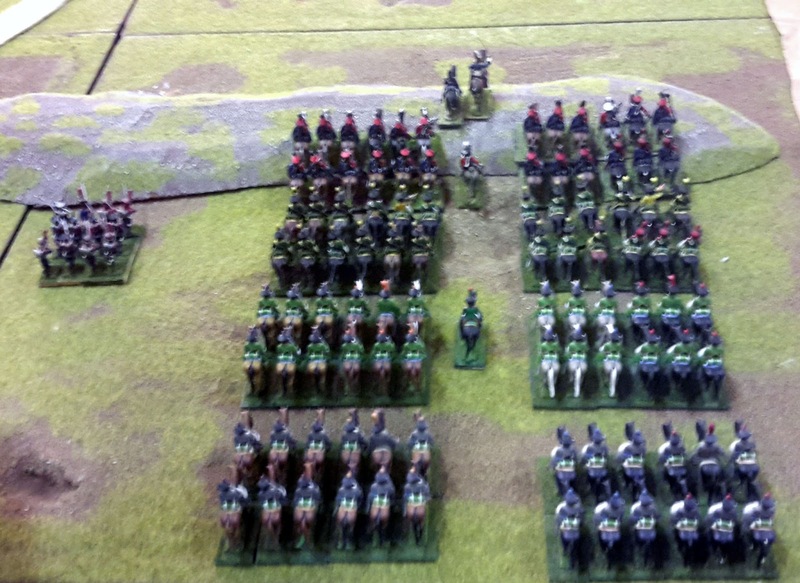 Two brigades of Prussian infantry, each of two infantry regiments, four cavalry regiments, plus some extra brigade troops. 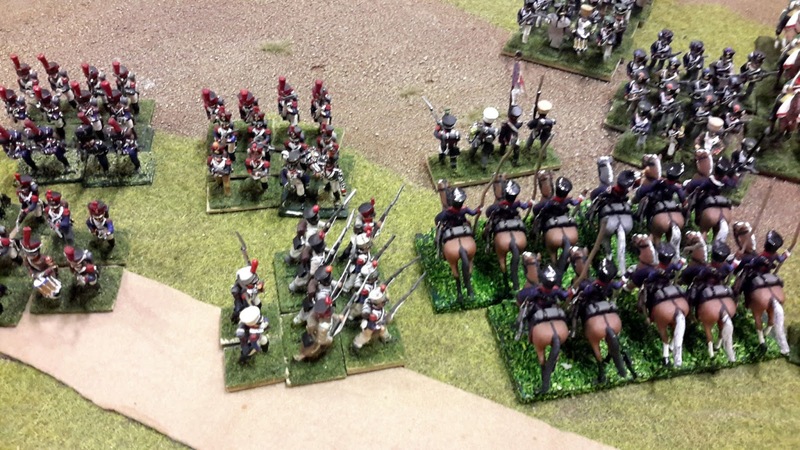 The 1st Brigade had the Prussian Garde reserve. 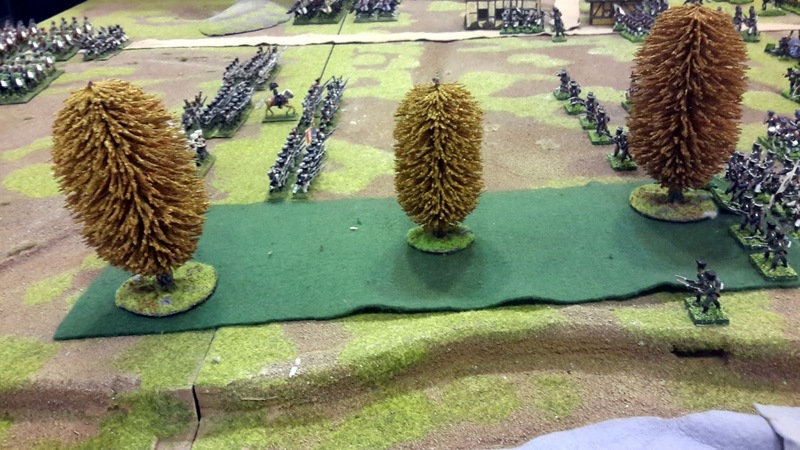 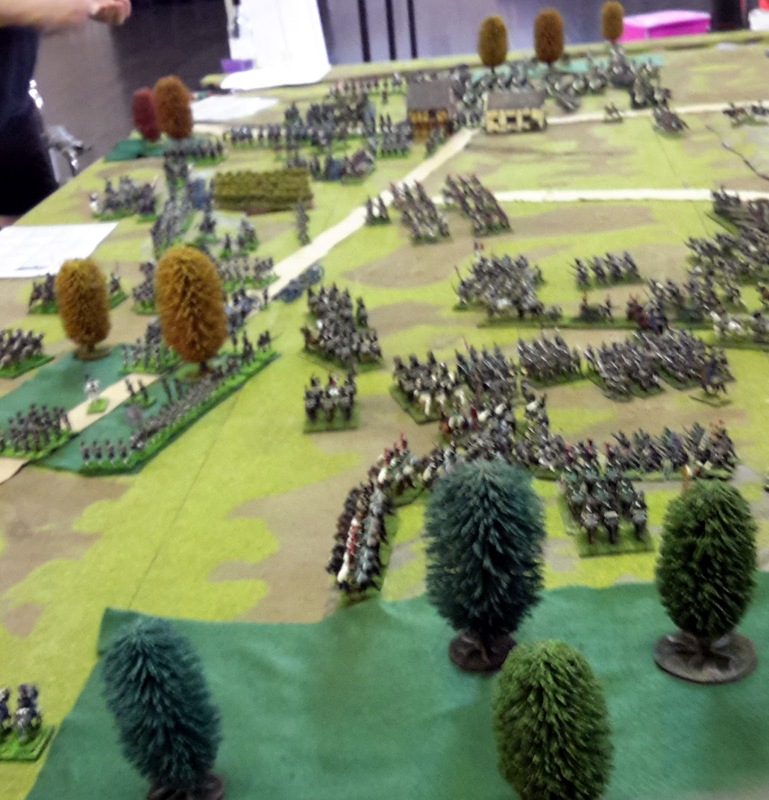 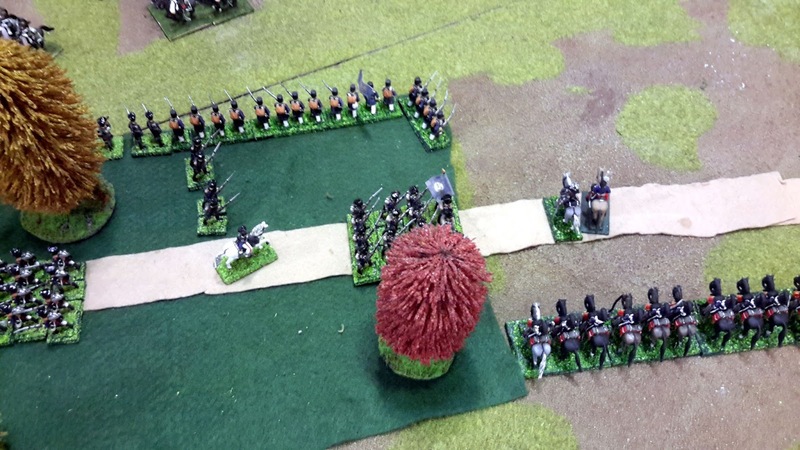 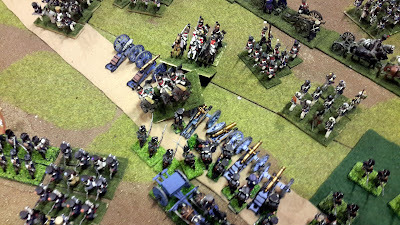 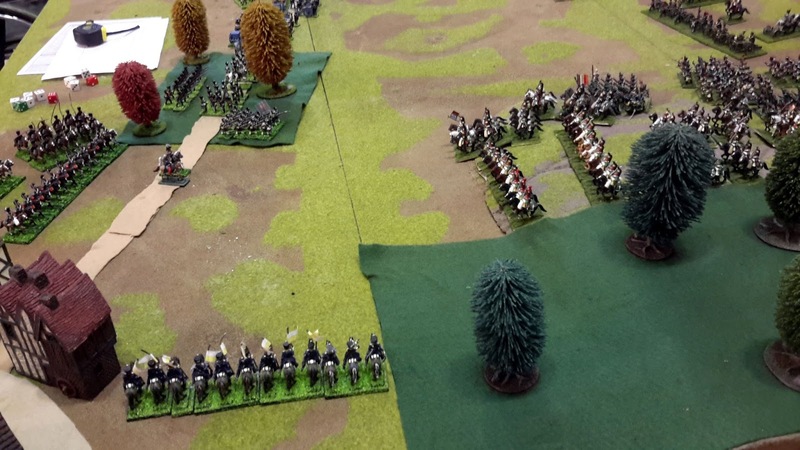 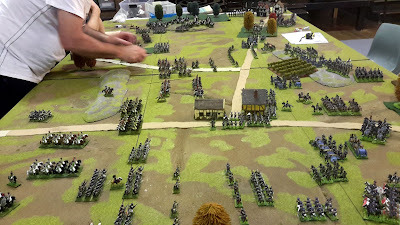 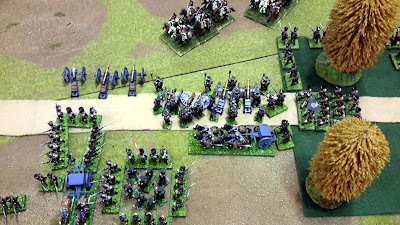 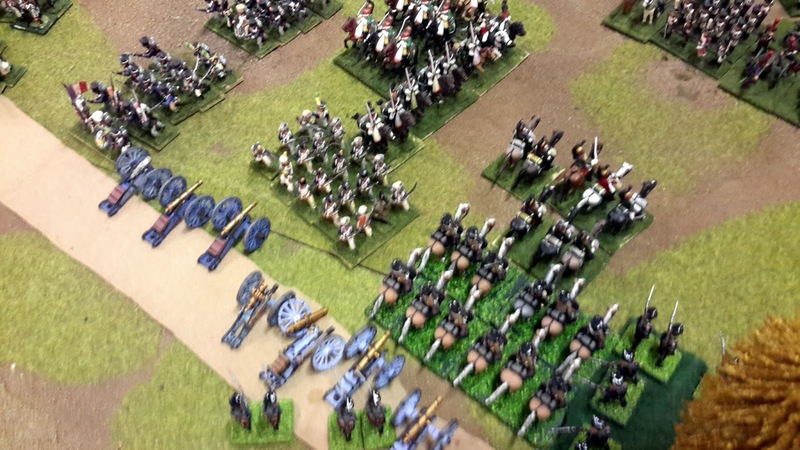 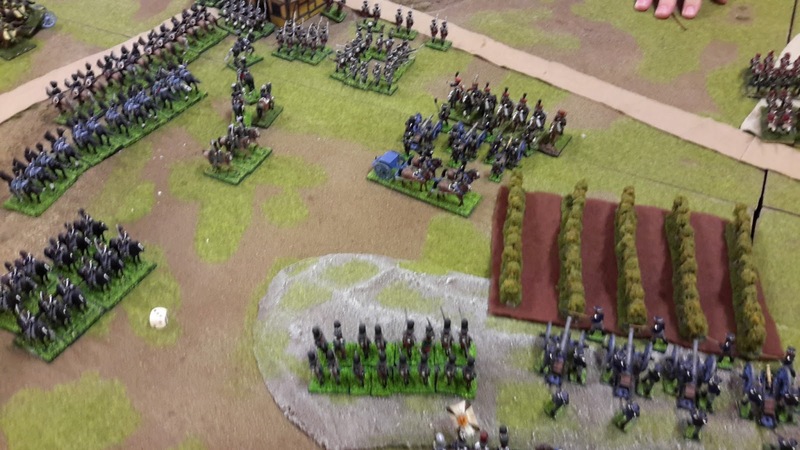 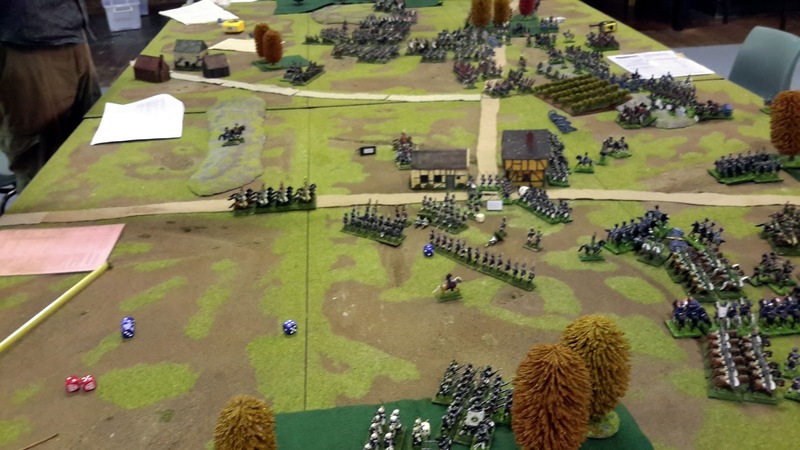 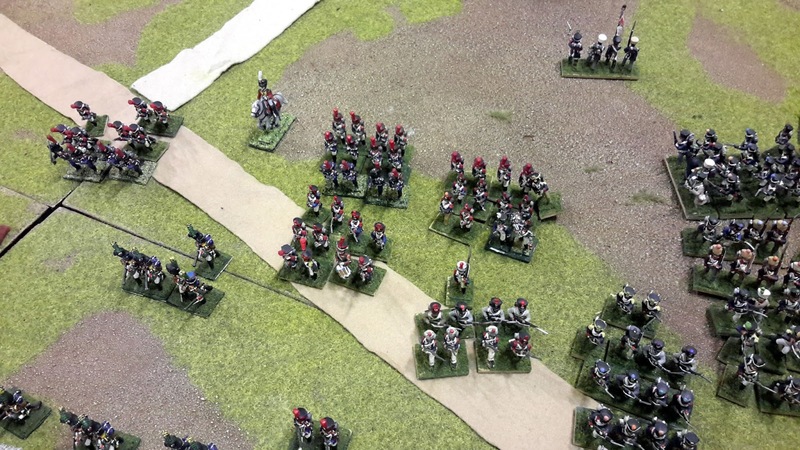 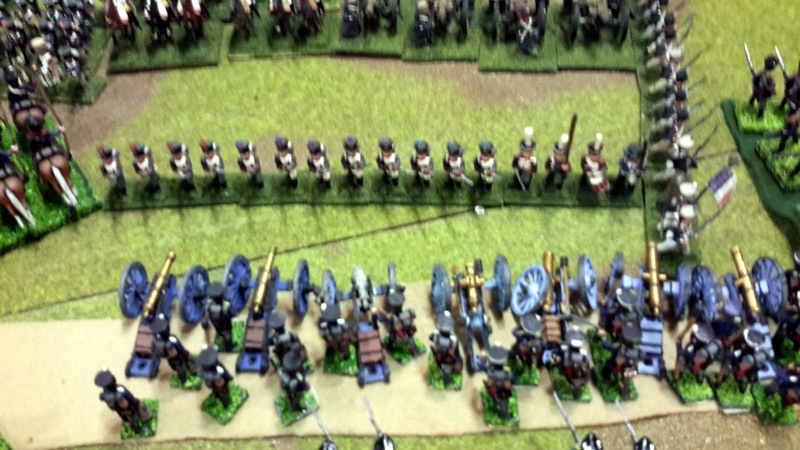 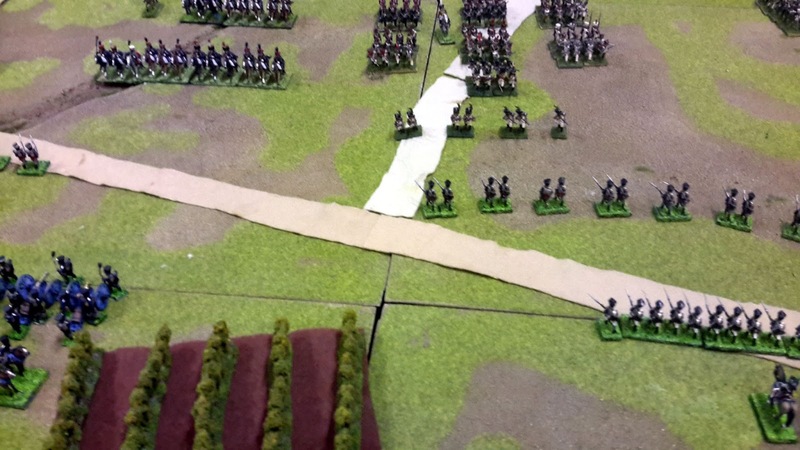 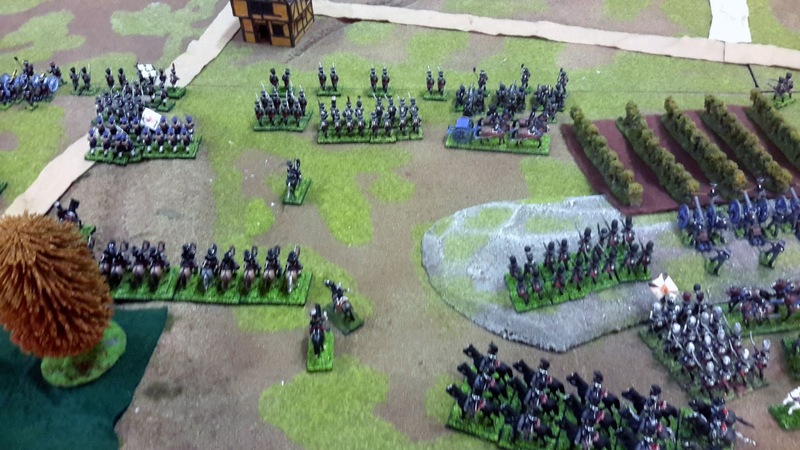 The Prussians had about one battery more that the French. 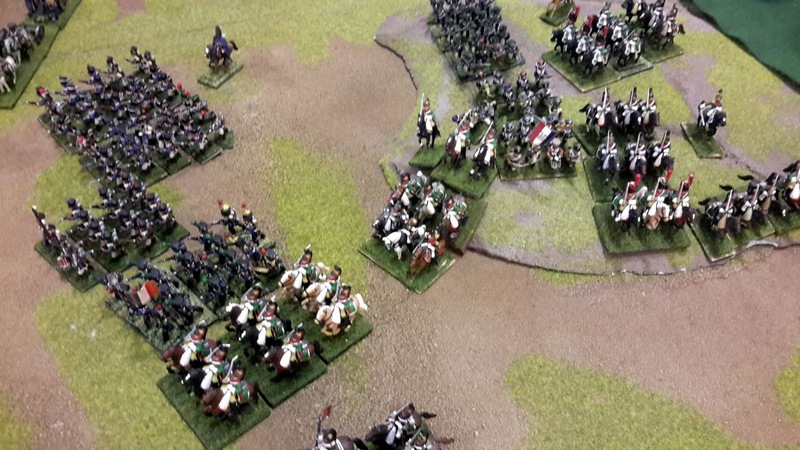 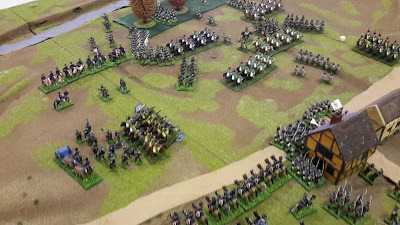 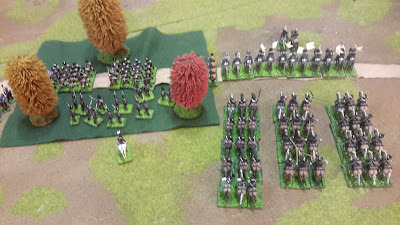 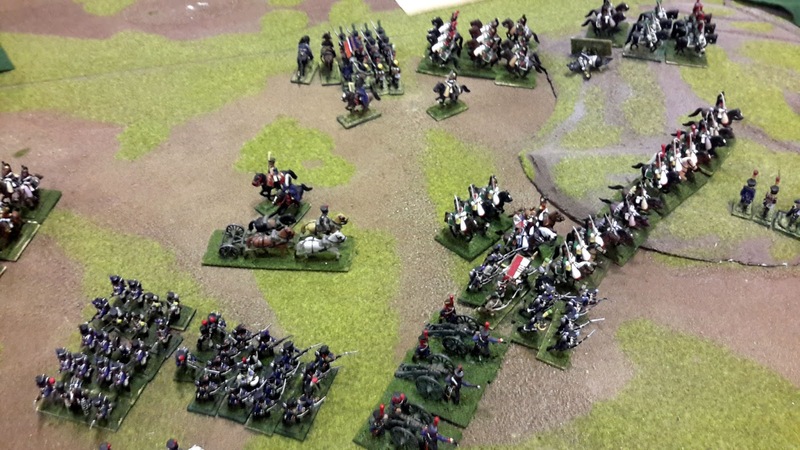 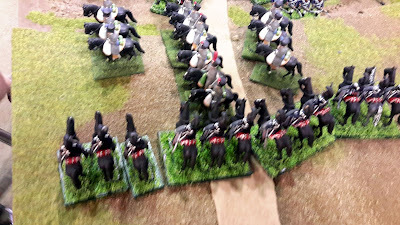 The French had twice the number of cavalry units than the Prussians had (still the Prussian cavalry negated the superior French cavalry force for most of the day). 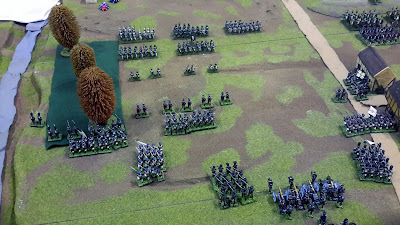 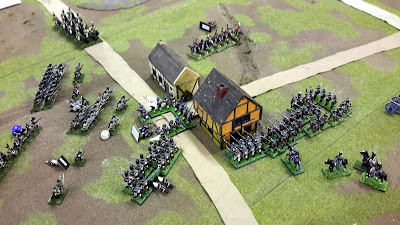 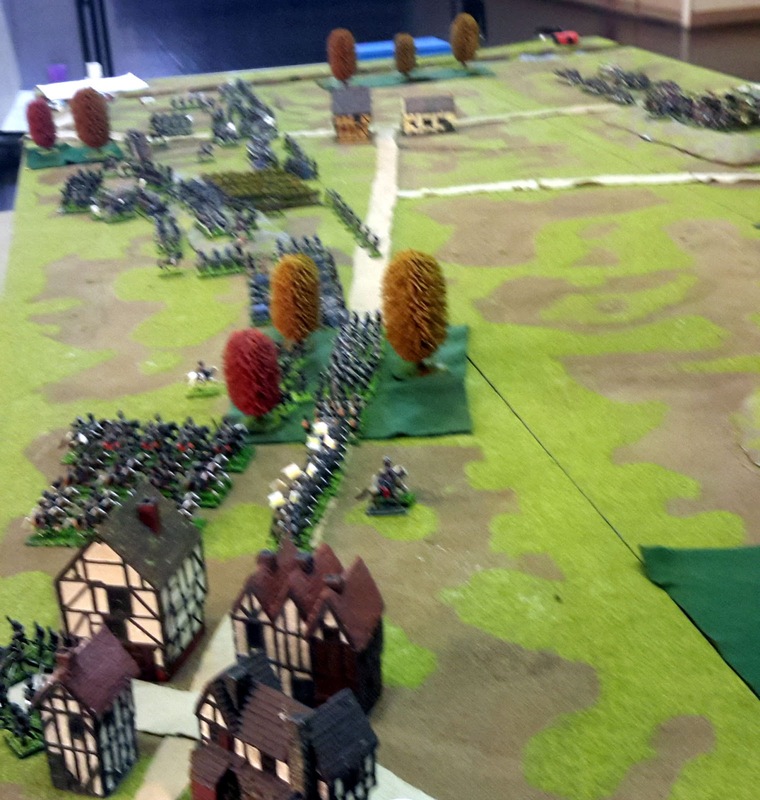 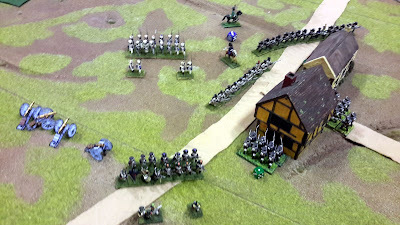 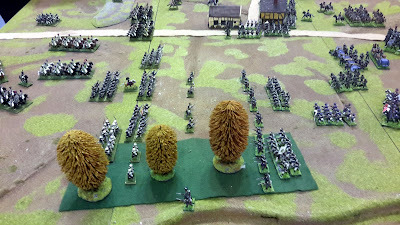 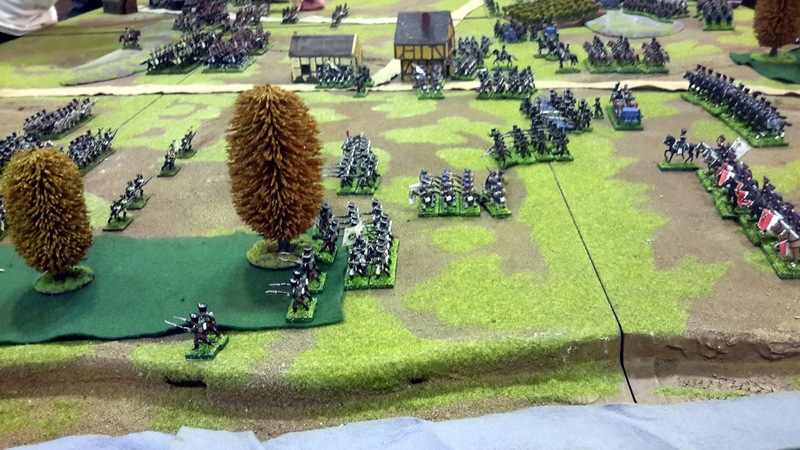 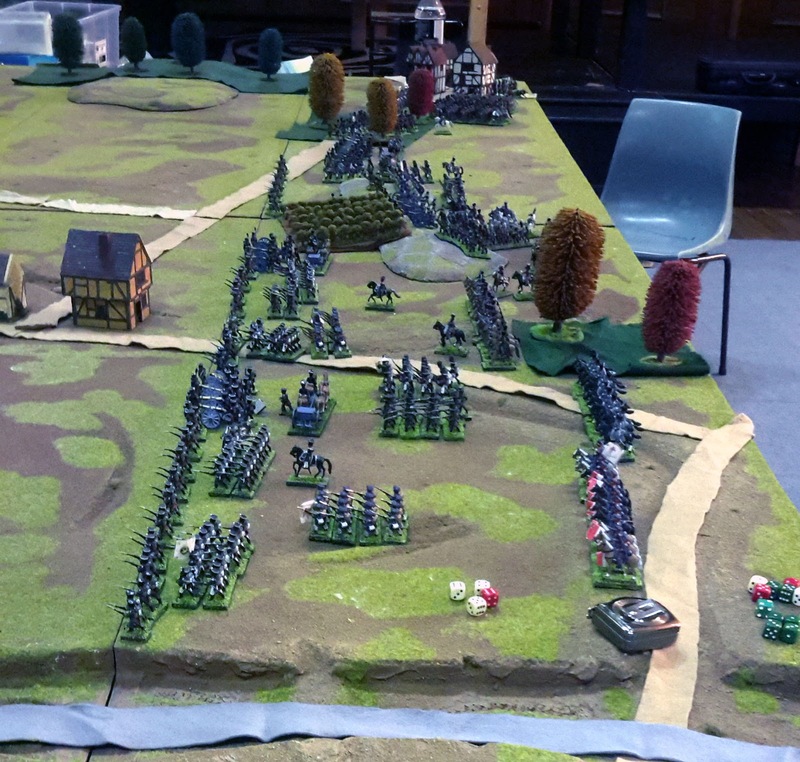 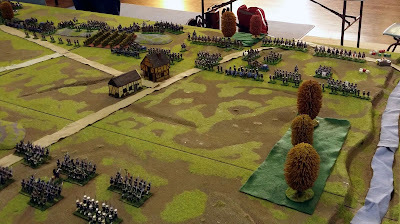 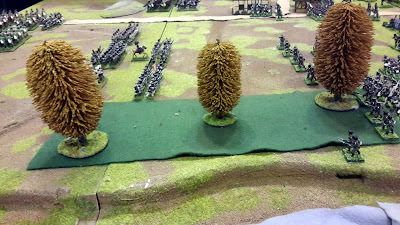 The Prussian Left Flank was pretty much destroyed by the end of the day while the Prussian Right Flank was still hanging on and had inflicted more casualties on the French.